Hurry! Only 1 kit left! 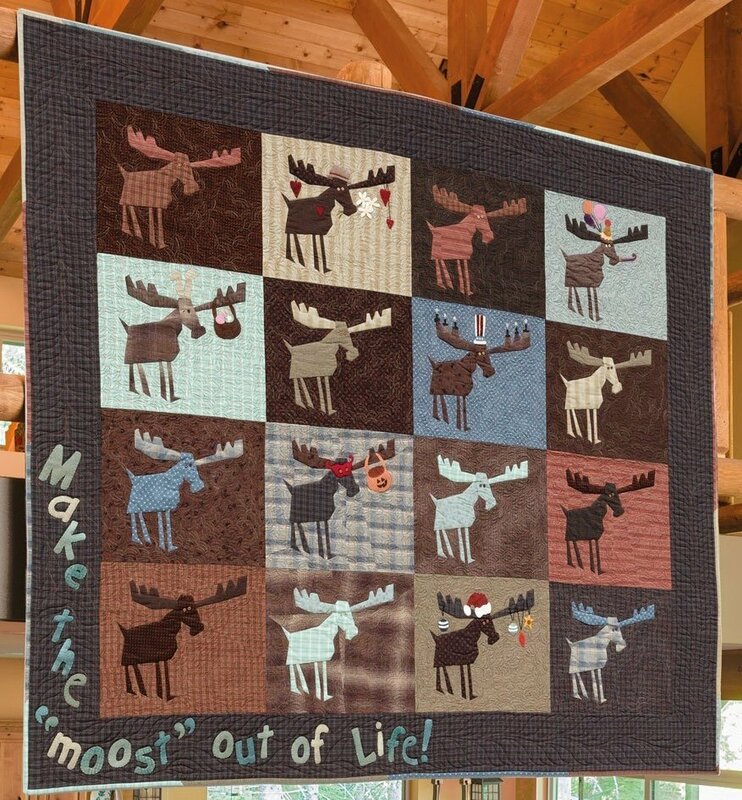 "Crazy Moose Messages" Kit designed by Janet Rae Nesbitt of One Sister from the book "Crazy at the Cabin" from Martingale. (Book is purchased separately.) This kit includes all of the fabric for the blocks, border, scrappy binding, and wool for the border message. The kit also includes wool bits for appliques for the individualizing the blocks. Finished quilt measures 72-1/2" x 64-1/2".